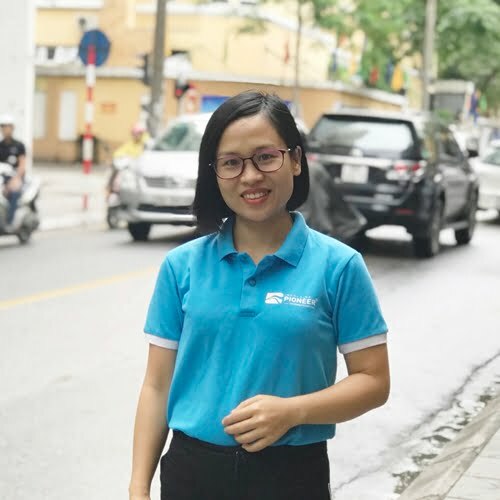 The central of Vietnam is a favorite region of many travelers, not only it is packed with outstanding national parks and fabulous beaches, but also it is the showpiece of the country’s rich history, with the imperial capital of the Nguyen Kings, charming old town Hoi An etc. 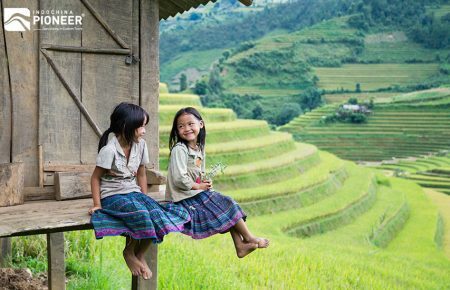 Let’s check all the highlights of Central Vietnam and make sure you do not miss these interesting attractions while discovering this charming land. 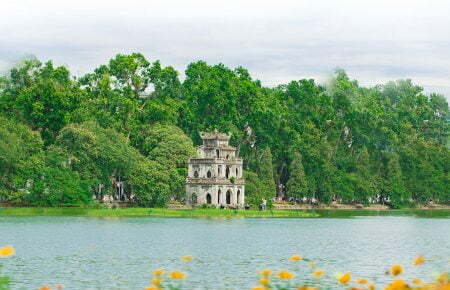 Hue has its distinctive attractions which are really different from Hanoi or Ho Chi Minh City (HCMC). 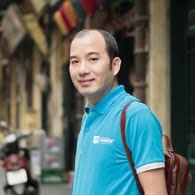 If Hanoi- the current capital of Vietnam is the perfect harmony of both present and past, and HCMC has turned into a real thriving metropolis, Hue seems to still retain thousand years of history in its heart. 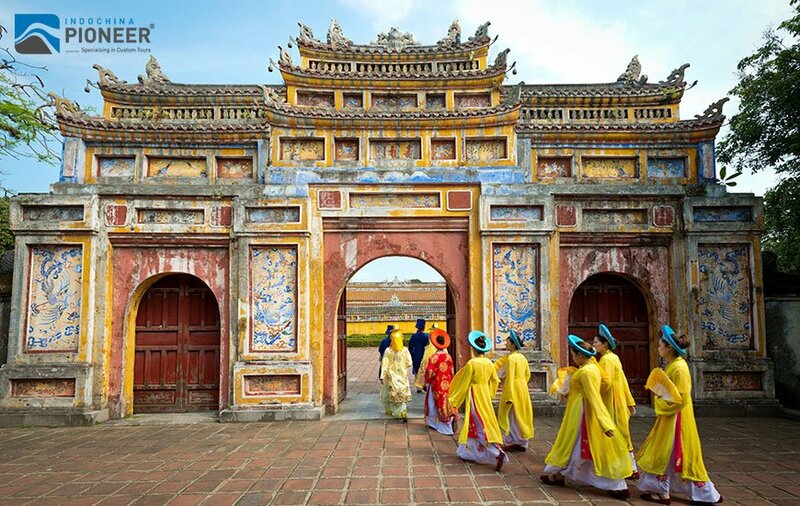 Visiting this imperial city is like making a journey back to the past, where you can see the resurgence of the Nguyen emperors’ 143-year- glories. A substantial imperial city as well as a collection of tombs still stands proudly along the banks of scenic Perfume River. Today Hue is a pretty city, containing dozens of bridges, lakes, moats and canals. On the river’s north bank is the ancient imperial citadel and residential areas, while the new commercial area, the old French quarter and the hotel district are all on the south bank. 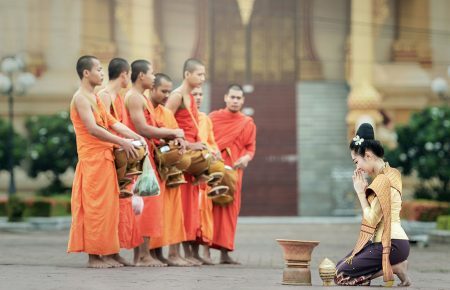 The traditional cuisines here are also really noteworthy, also enchanting experiences like the elegant court music “Nhã nhạc” or boat trip along on the beautiful Perfume River. 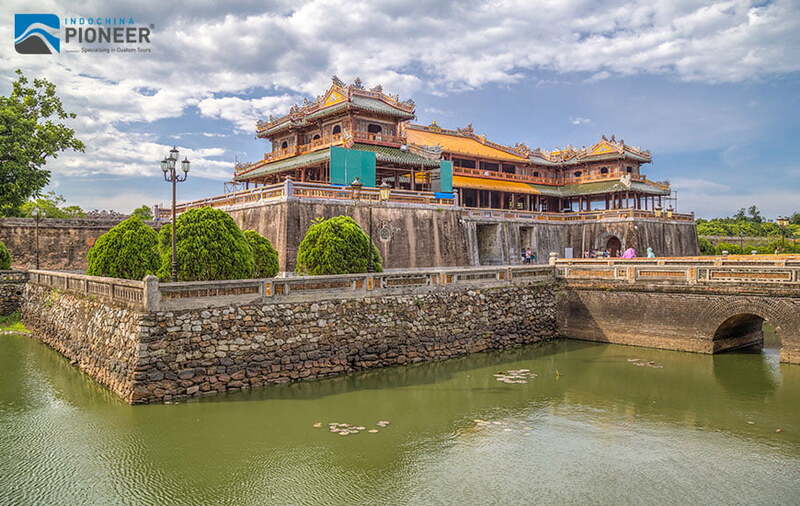 Hue’s attractions are plenty and variable, besides the famous Citadel (which is really suitable for a bicycle tour), you could go along the riverside to Thien Mu Pagoda and enjoy a special vegetarian lunch here. You also could have a short visit to Tam Giang Lagoon, a true beauty at sunset when golden water is sparkling in along with a maze shrimp farming fields of all shapes and sizes that all fascinate travelers. 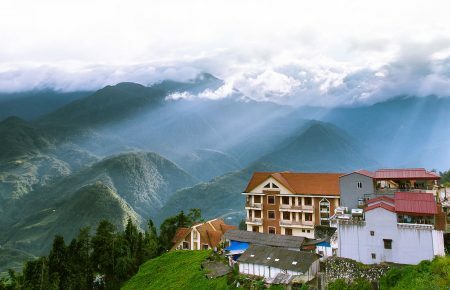 And don’t forget the Bach Ma National Park, the home to thousands of rare plants and wildlife, where visitors can enjoy a full day (or two) of hiking, camping, rappelling, swimming and even abseiling over Do Quyen Fall (Rhododendron Fall). 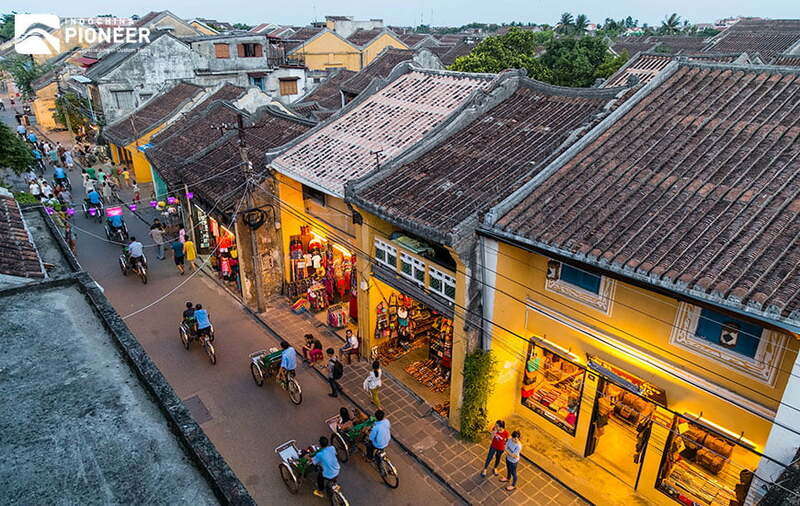 Located about 25 km from the southeast of Danang, the 15th century Hoi An is so popular to worldwide travelers, with numbers of title from UNESCO Heritage Site to Country’s Top Tourist Attraction (voted by users in Trip Advisor). 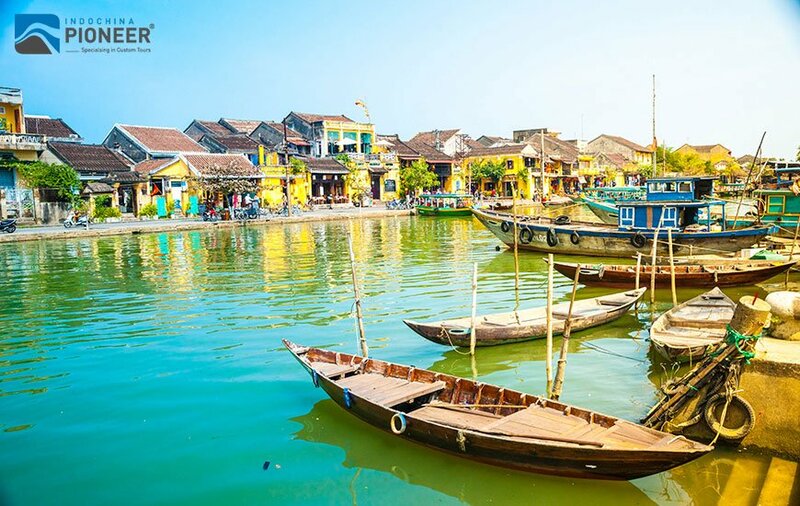 Lying along the banks of Thu Bon river, Hoi An contains numbers of older houses with wooden beams, carved doors, airy and open rooms which has turned into pretty souvenir shops, fine dining restaurants and cafeterias the recent years. Just a few kilometers from here, you can enjoy the charm of Cua Dai Beach and to the south is the UNESCO-listed Cham site of My Son. Hoi An contains many unique and lovely traditional villages, from fishing to herb village, which amaze their admirers with their own lifestyle. 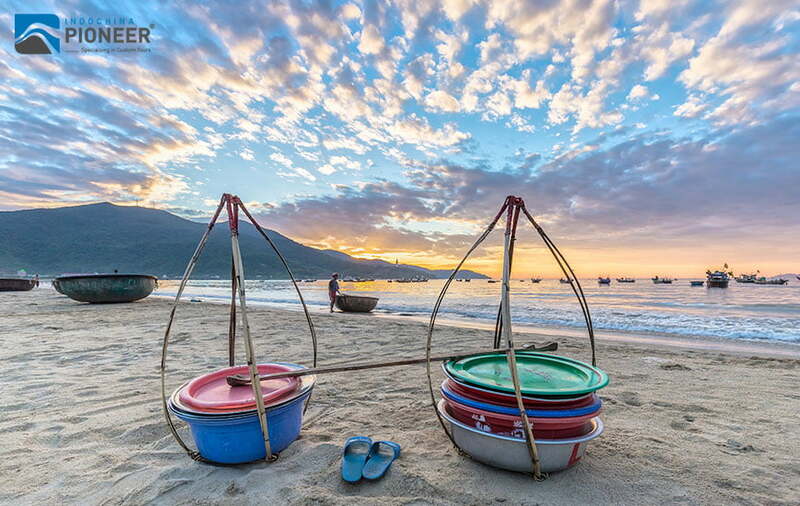 Located at the mouth of Thu Bon River, Duy Hai Fishing village of about 2,000 people will offer you the fabulous sunrise view and scene of fishermen bringing in their catch from a night at sea on the river delta. Around 03 kilometers from the north of Hoi An, there is the herb village Tra Que where is famous for growing many kinds of vegetables: lettuce, salad, houttuynia, flagrant knout wed, basil and coriander vegetables etc, with which the traditional specialties of Hoi An have gained part of their fame. 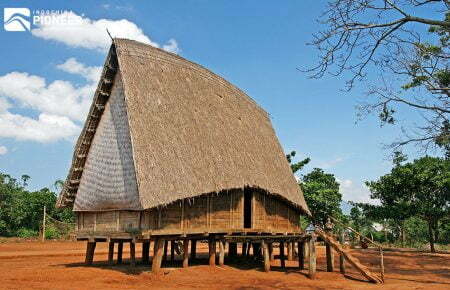 Tourists visiting Tra Que are often fascinated by watching the farming procedures of local farmers and taking some cooking lessons. Thanh Ha Pottery Village, in another way, is a decent stop for travelers, especially since it’s on the way to My Son. You will find the families busy churning out pots, sculptures, roof tiles and cute handcrafted whistles shaped like animals here. The potters are welcoming and friendly, and they are happy to offer a seat to watch as they work. Hoi An’s cuisines are so excellent that it has been considered as the “New food capital of Vietnam” with 02 successful International Food Festival has been organized here and attracts millions of travelers and food lovers. Shopping is also the new heart and soul of this town, as you can find many tailored shop everywhere here, supplying normal and tailored suits and dresses in excellent silk and high-end materials with enjoyable price. And despite the worry of many people, this unique town has been still retaining its quiet charm and tranquility atmosphere for years and attracting hundreds of visits each day. 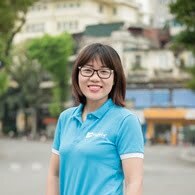 Da Nang is the city which may considered as the fastest changing one of Vietnam. The reputation of a provincial backwater lasts no more, instead of that, big changes has been ongoing with modern skyscrapers, hotels, apartments, fine dining restaurants, and obviously the most luxurious resorts. Spectacular new bridges now span the river, and in the north of the city, the landmark new D-City is rising from the flatlands. 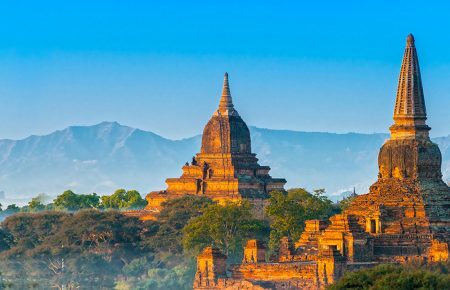 Travelers could visit this city for several days of enjoying the city’s lovely beaches, conventional sightseeing spots (like museums and stunning bridges), heading to some unique restaurants and blending into the nightlife. Quang Binh- a province located about 490 kilometers from south of Hanoi- has diverse terrain with everything from mountains to lowlands, forests and islands, as well as seas and rivers, making it a great place to visit, as there are many things to see and explore here. Besides its famous beaches with palm leaves and white sand sides, Quang Binh is in tourists’ mind with Dong Hoi temple, an invincible fortress in shape of a star, built by Minh Mang Emperor in order to protect Hue capital. Now, there is no more war in Vietnam, but Dong Hoi stand nicely as a witness of the bravery of Vietnamese in old times. Moreover, Van La tunnel, which people established in 1966 to avoid American’s bomb, is a worthy area to pay a visit as well. However, above all, Phong Nha National Park is the most treasury place of Quang Binh, with the longest grotto in Asia, and plenty of interesting caves to visit. Phong Nha Ke Bang National Park contains the oldest karts mountains in Asia, formed approximately 400 million years ago. 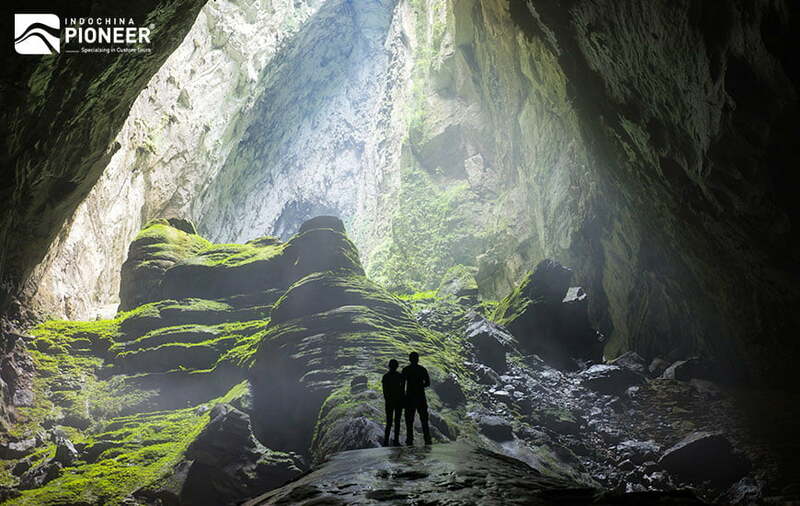 As a UNESCO World Heritage, Phong Nha amazed its admirers by hundreds of cave systems and spectacular underground rivers, deserving the title “speleologists’ heaven on earth”. The caves are not the only highlights of the region, but also the above-ground attractions of forest trekking, the area’s war history, and rural mountain biking, which are perfect for general adventure seekers. 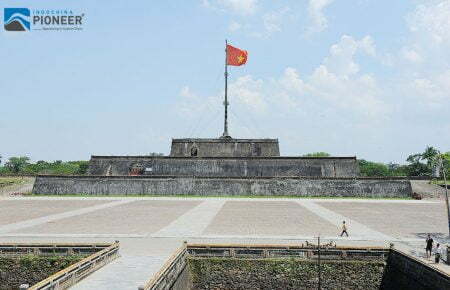 If you want to know deeply about Vietnam History, Quang Tri- a province in the North Central of Vietnam- is one of the destinations that cannot be missed in your Vietnam travel list. 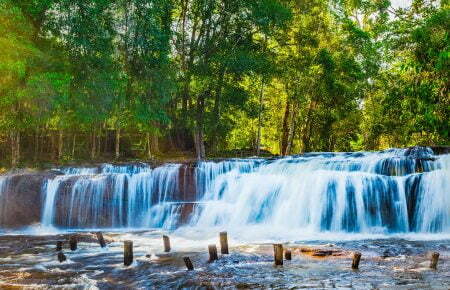 Like Dien Bien province, Quang Tri is a historical land by passing vicissitudes in the past. 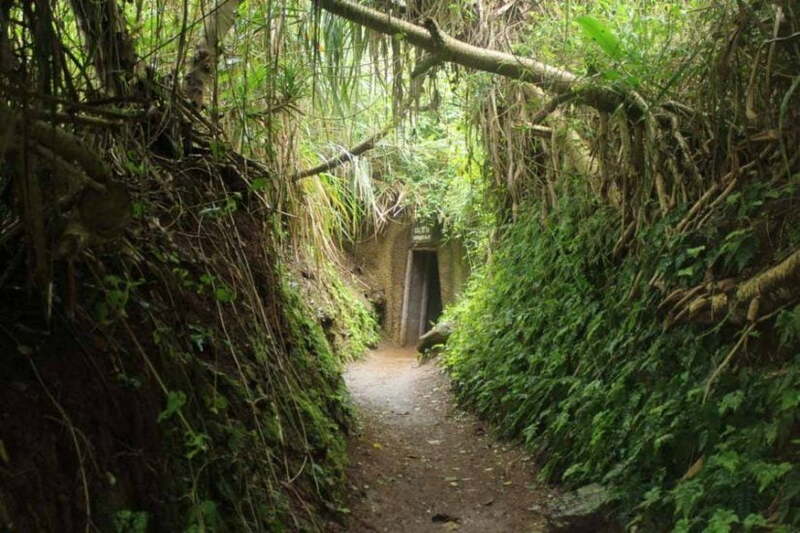 This destination preserves many remains from the anti- American resistance war such as the ancient citadel of Quang Tri, Khe Sanh Combat Base, Truong Son National Cemetery, Vinh Moc Tunnels, Hien Luong Bridge and Ben Hai River. However, the war remnants are not the only things that could attract tourist coming to here; tourists are able to take interesting holiday in Dakrong Beauty Spot and Cua Tung Beach. The beach has sparkling clean water, silky sand and soft breeze, the whisper made by the rows of casuarinas trees. It is very pleasant to go on boat downstream on the Ben Hai River and admire the beautiful landscapes.